Hiccups are no fun, whether you're a human or a guinea pig. If you have a cute cavy in your life and he's making sounds that are awfully similar to hiccups, you're probably not just hearing things. Guinea pigs can indeed experience the frustrating spasms, which some people call "heaving hiccups." If your guinea pig is in the midst of munching away on his food and you suddenly hear that ever so familiar involuntary sound of a hiccup, that could be exactly what's happening. This sometimes indicates that the guinea pig simply didn't properly swallow his food, resulting in his efforts to remove the stuff out from his body. 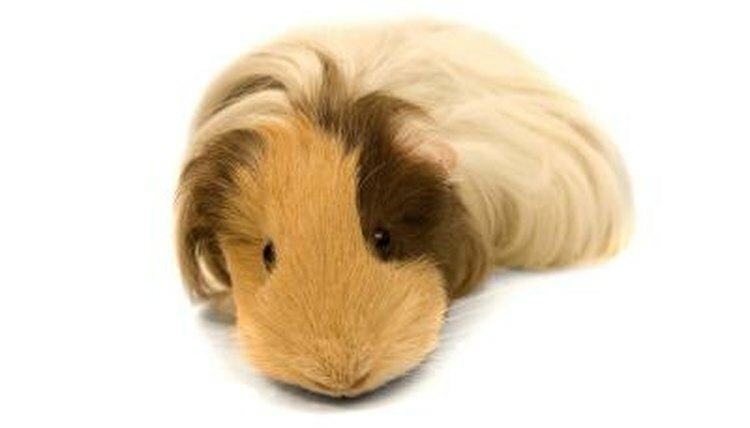 Guinea pig hiccups sometimes are comparable to piercing coughing sounds. They can be rather overwhelming and jarring to anyone within earshot. If your poor guinea pig looks like he's on the verge of throwing up, it might just be a case of the hiccups, hence the tag heaving hiccups. Guinea pigs are incapable of throwing up, after all. Hiccups aren't usually cause for alarm in guinea pigs, as they tend to go away naturally with a little bit of time. Pregnant female guinea pigs often make hiccuping sounds when they're about to go into labor and bring their pups into the world. When guinea pigs are moments away from parturition, they often hiccup a lot, all the while constantly looking down at their private regions. Once the youngsters finally emerge, the new mamas promptly rip the amniotic sacs off of their faces, enabling them to immediately breathe. Once this happens, it usually takes roughly five minutes for the next pups to make their grand introductions. Always take note once you hear a pregnant guinea pig hiccuping, because it usually means that all of this action is about to begin. Guinea pig birthing sessions generally take anywhere from 15 to 40 minutes in total. Guinea pig hiccups usually fade away without any outside intervention. If your guinea pig's hiccups are especially persistent, however, it's a good idea to take your pet in for a veterinary checkup. At any rate, these wee rodents must visit the veterinarian for thorough examinations annually. Always be on the lookout for any hints that your pet might be sick, whether drops or increases in weight, runny eyes or noses, hobbling, loose stools, reduced appetite, exhaustion or missing fur, to start. If you pick up on any of these symptoms in your guinea pig, get him to the vet as soon as possible. How Will My Guinea Pig Act Before Giving Birth? What Do Guinea Pig Noises Mean? What Does It Mean When a Guinea Pig Holds His Head Sideways?